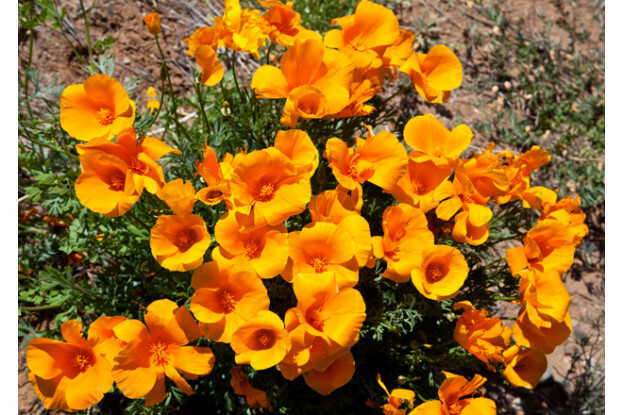 A close relative of the California poppy, the Mexican gold poppy is smaller and more drought tolerant than its relative. It also tends to bloom in more yellows than oranges. This native annual can be found on desert hillsides and flowers profusely from February to May especially following warm, wet winters. Mexican gold poppy can grow up to two feet tall and prefers full sun. Excellent for water wise landscapes.